Bling 1 Entertainment is a live music entertainment and concert promotions company specializing in providing top quality entertainment at an extraordinary value. 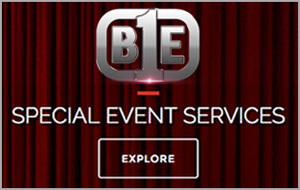 Bling 1 Entertainment was launched to bring world-class entertainment to the masses. It all began in the Southern California Antelope Valley, when Bling 1 launched a first-of-its-kind event, Summer Sizzle Series. This summer concert series was a big success and included superstar talent like The Whispers, Tony! Toni! Toné!, Chaka Khan and Keith Sweat. The nearly 17,000 fans that were in attendance received a summertime entertainment experience they wouldn’t soon forget. Bling 1 Entertainment harnesses the strength and combined passion of CEO Lonnie Stribling, COO Darrin Hodges and CFO Rich Buchanan along with the Bling 1 team of dedicated professionals to provide memorable experiences and offer fans unique opportunities to experience their beloved artists through world class live performances and special events. Bling 1 Entertainment’s team is well seasoned in promoting live venue events and with a combination of over 50 years of experience we will continue to develop live concerts and events that are effectively executed, highly marketable and extremely entertaining. Bling 1 Entertainment has formed strategic partnerships and alliances with the industry’s leading talent agents and agencies, independent producers and promoters, radio, television, other media outlets, as well as public and private venues and municipalities. These alliances enhance each and every live entertainment offering that Bling 1 Entertainment takes part in. Bling 1 Entertainment is committed to presenting the very best in concert promotions across the country and around the world. Bling 1 Entertainment plans to continue building on the success of our past events including the summer concert series in Palmdale, California that started it all. We are renewing our commitment to the Antelope Valley with a new and even more exciting series of concerts and festivals. The implementation of a diverse and unique event schedule including world class concerts, comedy shows, festivals and special events illustrates that Bling 1 Entertainment is well on its way to becoming a dominant force in the highly-competitive live entertainment industry. With plans to expand into many other area of entertainment, the Bling 1 Entertainment team will continue to develop, produce and deliver the highest standard of entertainment at an extraordinary value. Bling 1 Entertainment is committed to the creation and promotion of the “total entertainment experience” by building special events and festivals that combine the unique blend of live music by today’s most influential artists, showcasing fine dining and the culinary arts with wine tastings, exhibitions and many other exciting event features. We are creating one-of-kind hybrid entertainment properties that are sure be the envy of the entire live entertainment industry. Bling 1 Entertainment is also committed to the revitalization of the community and mentoring inner city youth. Our philanthropic pursuits are just as diverse and dynamic as the entertainment that they promote. This socially-conscious company provides scholarships, donates time and resources to the various Big Brother/Big Sister programs, participates in food bank programs and serves as a continual source support for inner city youth and their families.